Geographers study people and our environments across the globe and throughout time. Geographers bring together global and local perspectives to address today’s challenges. Our faculty study everything from climate change over the past ten thousand years, to poverty and urban development, to how the internet is changing how we understand the places where we live. This big picture view of the world makes geography and sustainability degrees highly marketable: our graduates are helping with security management of the Boston Marathon, mapping global population for disaster readiness, and working as data scientists at the largest technology companies in the world. 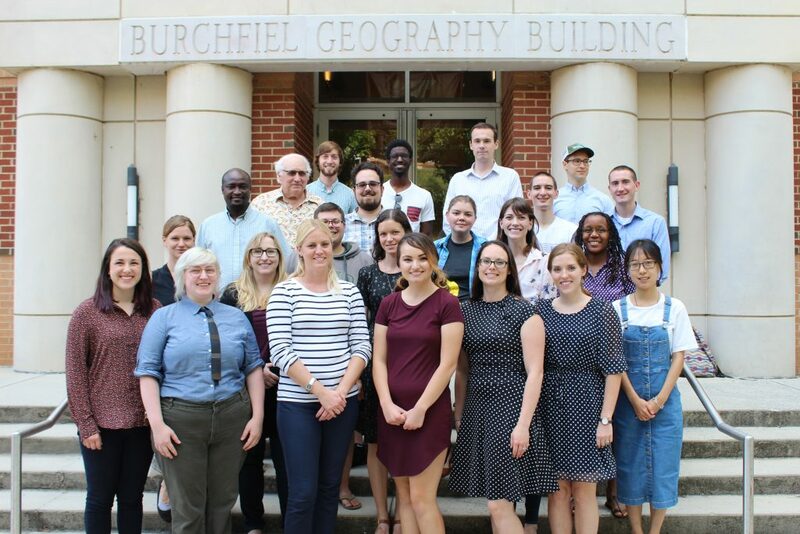 The UT Geography Department offers BA degrees in Geography and in Sustainability, and an MS and PhD in Geography. Our students work alongside faculty, study abroad, and develop marketable skills while helping community organizations and working in local governments, the private sector, and Oak Ridge National Laboratory. Geography is all around you!